We are pleased to announce the 7th annual El Haddawi Winterschool. It will take place from 27th December 2006 to 1st January 2007 at the island convent "Abtei Frauenwörth" on the lake Chiemsee in Bavaria, Germany. El Haddawi invites you to experience a confluence of bodywork, dance and martial arts as an expression of practical spirituality and a way of healing. To be healthy means more than to be free from sickness. In ancient times healing, dance and spirituality were connected. Healing meant going through experiences to grow spiritually and to be healed in the sense of being complete. Negative experiences often create psychological traumas which are blocking and withholding life-energy. This energy can be released again and may be transformed into inner strength. 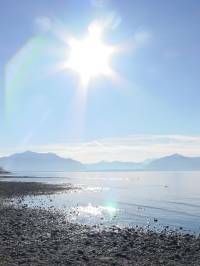 Through exercises from different spiritual traditions and bodywork systems we will experience our bodies as gates to healing. Music, Dance and Movement Improvisation as well as elements from the Marital Arts will open new levels of practical experience for body, spirit and soul. In addition to seminars taught by Ingo Taleb-Rashid and Thomas Farnbacher, there will be classes taught by invited lecturers, lecture-demonstrations, an opening ceremony and performance and a sacred music concert. Accommodation and meals will be provided on site. The fee for tuition will be the equivalent to €420 including all classes, lectures and special events. Fees for accommodation, meals and transportation are separate. Early registration (until 6th of Nov. 2006) and payment of the Non-refundable deposit of €200 will reduce tuition to €360. together with Christa Büntig founder of ZIST, Center for Individual and social Therapy, e.V. 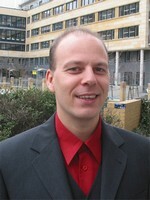 Nowadays leader of ZIST gemeinnützige GmbH. One of the pioneers in Humanistic Psychology. He develops, practises and teaches Potentialorientierte Selbsterfahrung in Persönlichkeitsentfaltung, Psychotherapy and Coaching. Ana Mondini, brazilian, dancer, coreographer and teacher for Ballet and Contemporary Dance. Ana combines in her work elements of Kinesiologie and Touch of Health, and develops her own process of dance and healing. 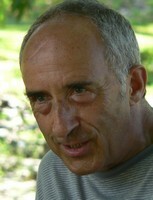 Bernhard Stelzl, Journalist and Trainer. Background in meditaion, social work and political sciences. Decision making as health improvement.